Grrr... I like dis game just cuz u don't doesn't mean i'm deranged!!! Well those peoples must be deranged. OH Sorry dark I didn't know that. Huh? Where did I give it 6/10? If you mean the stars at the top of the page then that's what visitors to the site have rated it not me personally. Yo dark52 I saw your rating for ETD and it was 6/10. I thought you hated this game!!!! 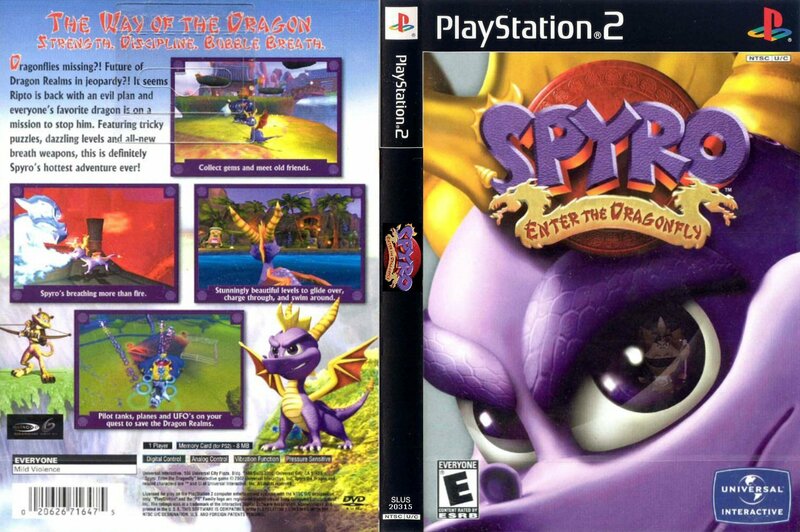 Wow a bad spyro game. Where did stupid VU get a cruddy idea like this! They did much better with AHT so why did they do this! 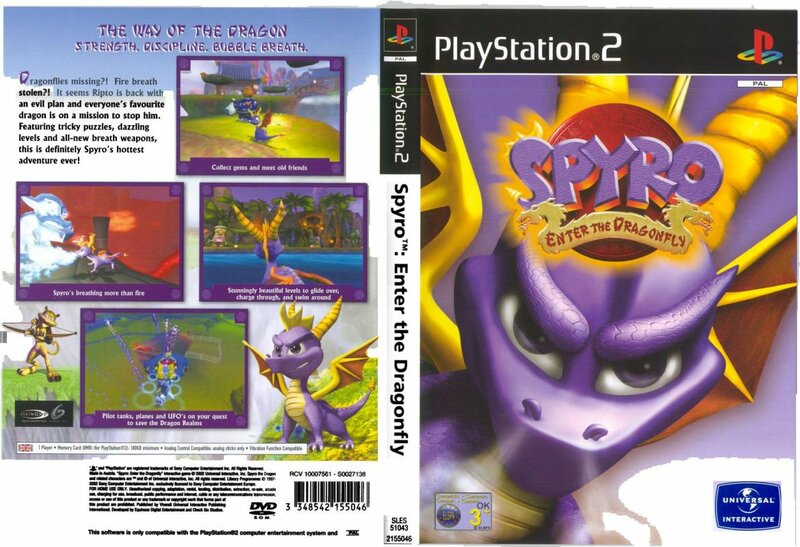 Yo Vivendi dudes if you don't come up with good ideas (exept AHT heeheehee) Spyro will be flushed down the toilet never to return (sniffles) and do you know what I'm gonna do after that.....................cry there I said it! Fine, you win, but I really think that the game could've been much better than this. I'm not the fondest about A Hero's Tail either, it sort of took too many levels out of Jak and Daxter. But this ETD would've been really fun and you would've seen the innovation if not for its low quality. The number of times I had to restart this game was not worth the eight hours of fun. Really? I flat out agree w/ Redon. However I started @ the loading screen when I was 11. I just now ended it n Im 25. Fine Redon, you win the hero's tail part, but I'm not satisfied. I didint really like this game.Too many glitches in it and it takes forever to load! 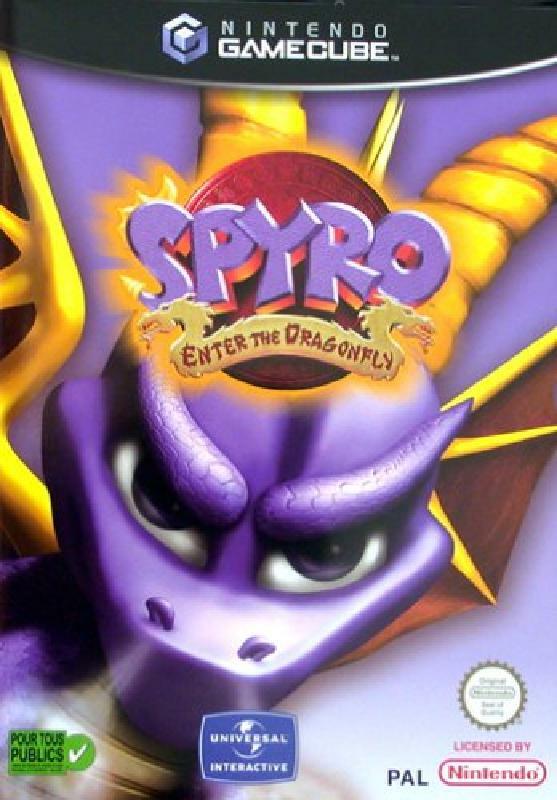 Yeesh what is wrong!Its a good game!Sure,it only lets you play as spryo,but it made the new eletric berath and bubble breath! !Think of it,if this game wasn't created,heros tail wouldn't have been made!!!!! Yeah, look at 'Ripto', he looks like ... I dunno... STUPID,I will admit. I know, I noticed it one day and just kept staring till I figured it out. OK..I AGAIN feel STUPID posting this... 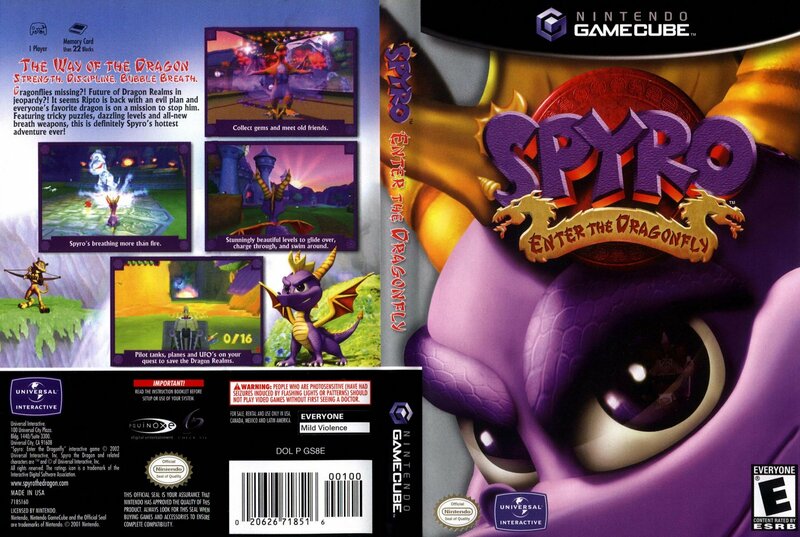 But in the American cover art, you can see Ripto in Spyro's eye.